Incorporating a company in India is now easy. In 2018, through a string of reforms, India leapfrogged into the 100th rank in the World Bank's Ease of Doing Business rankings, jumping 30 notches. Through the various initiatives, the Government has reduced the bottlenecks, combined forms, and simplified procedures. However, due to the ever so dynamic set of changes and developments, one needs professional guidance and assistance to zero-in on the right steps, procedures, and processes to make the most of the features and facilities extended by the Government. The Ministry of Corporate Affairs (MCA) regulates all Companies and corporate affairs in India through the Companies Act, other allied Acts, Rules, and Bills. It provides for and casts an obligation on companies to file various forms, returns and documents under various provisions with the Registrar of Companies (ROC)/ Regional Director/ Central Government in an electronic mode within the prescribed time, along with the prescribed fees. The MCA has introduced the MCA21 Mission Mode Project (MCA21), which is the e-governance initiative from the Ministry of Corporate Affairs, Government of India. It is one of the 27 Mission Mode Projects of the National e-Governance Plan and is designed to fully automate all processes related to proactive enforcement and compliance of legal requirements under the Act. This means that all types of filing, incorporation, etc., is to be undertaken via the online mode only. Annual filing is to be undertaken within 30 days from holding of AGM and it involves filing of Annual accounts, Directors Report, Audit Report, Cash flow statements, etc., in an electronic form. These include 'Approval services' and 'Change Services' – covering all other aspects like company incorporation, change directors, and other particulars of existing companies, etc. It is the most common form of a company incorporated in India. It is also known as a Closely Held Company as there are restrictions on transfer of shares and invitation to public to subscribe for securities of the company. Broadly speaking, incorporating a company in India is a six-step process as shown. Planning to incorporate a company in India? 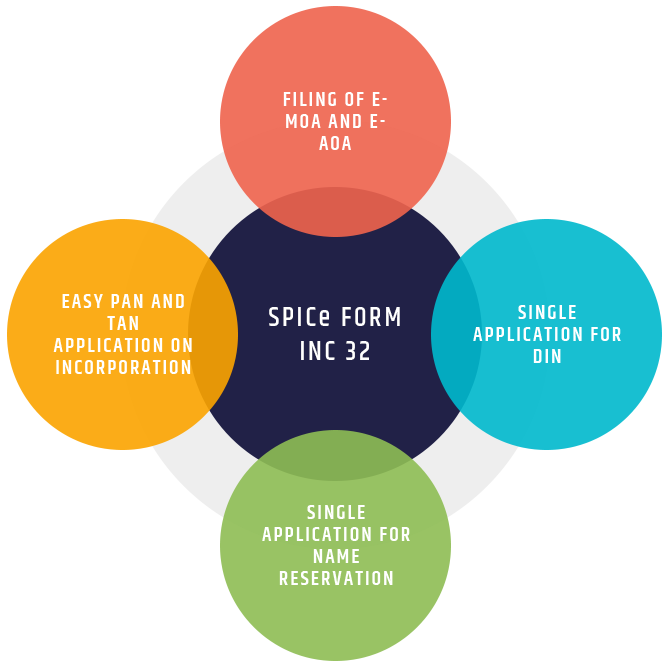 Need expert guidance for using the SPICe form for registering your start-up in India? V. Purohit & Associates can help. 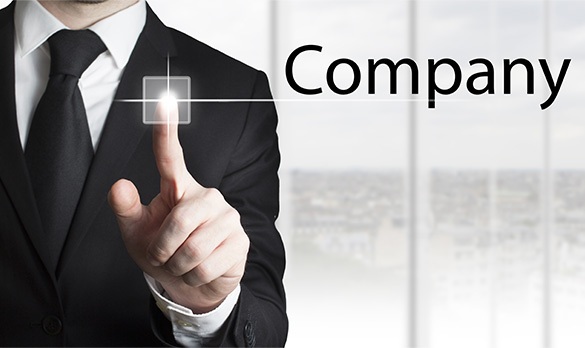 We offer end-to-end consulting and execution services for company incorporation in India. Talk to us and Share your requirements.